Bruce Springsteen and the E Street Band provide a snapshot session for WGOE-FM at the Alpha Studios in Richmond, VA, to unveil a taster of their anticipated appearance a few hours later in Chicago at The Coliseum. This was only Springsteen's second known acoustic radio session, but the WGOE-FM broadcast is unique in that it was broadcast via a live link directly from a studio performance. A few months beforehand on 18th February, Springsteen had opened for the very first King Biscuit Flower Hour alongside the Mahavishnu Orchestra and Blood, Sweat and Tears. 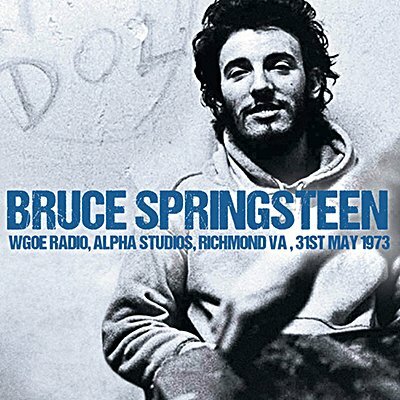 Echoes' continuing retrospective spotlight on Bruce Springsteen's early career is celebrated with the Alpha Sound Studio recording session originally broadcast by WGOE-FM on 31st May 1973. Professionally re-mastered sound recording with background liners and rare photos.